Delivering cake for gender parity! As an LAFPI blog reader, you are probably already familiar with The Kilroys, the gang of 13 Los Angeles-based playwrights and producers who, in their own words, “are done talking about gender parity and are taking action.” They make news every year when they publish The Kilroy’s List, an aggregation of the most recommended unproduced or underproduced plays by women and trans playwrights. In a way, they do this to call out any theatre that’s lagging in gender parity – simply by saying, hey, look, we did the work for you. Are you saying you can’t find great plays by women or trans writers? Produce one of these plays, to start with. But the cool thing about The Kilroys is that they also show appreciation where it’s due. Hence the 2015 Kilroy Cake Drop for Gender Parity. 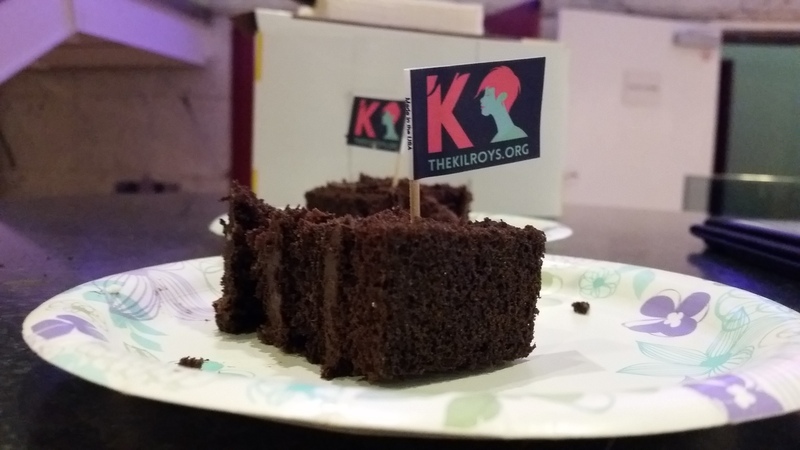 Earlier this week Joy Meads emailed and asked if I could do The Kilroys a favor – could I deliver a chocolate cake to the Los Angeles Theatre Center on Thursday? It would be part of a nationwide celebration – thirteen theaters around the country would get delicious cake delivered to them by an ambassador playwright, to celebrate their leadership and commitment to gender parity. 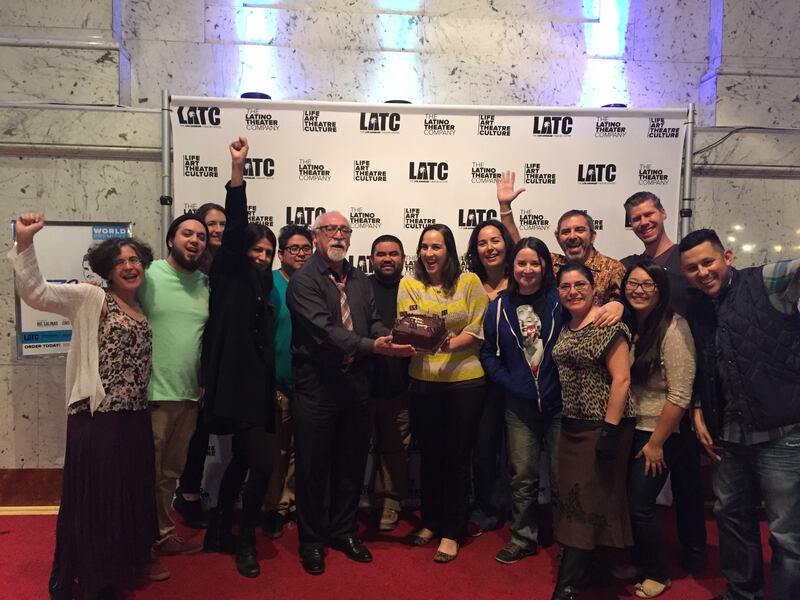 As it happens, I have a special connection with the LATC myself since they co-produced my play In Love and Warcraft this season, in association with Artists at Play. I was thrilled to do it. Check out all the photos from the various cake drops today by following the hashtag #parityraid and #cakedrop on Facebook, Twitter and Instagram. In closing I’d like to echo the request that The Kilroys have made today. Don’t see your favorite parity-achieving theater on the list? We hope you’ll show them some love. Send a social media shout-out (or a cake!) and buy a ticket to celebrate their commitment to producing work by women and trans* writers. Let’s get to it then. The work continues!